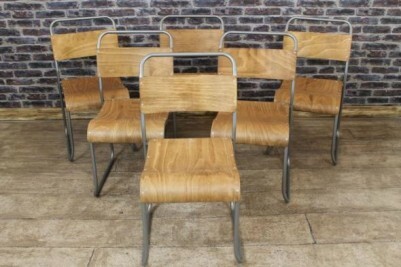 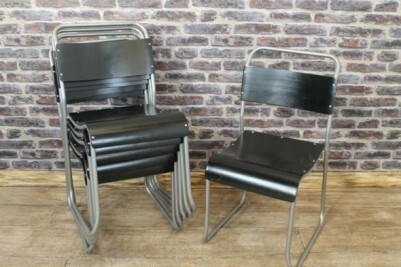 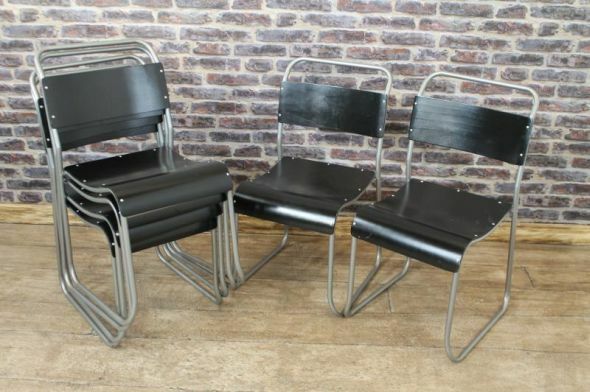 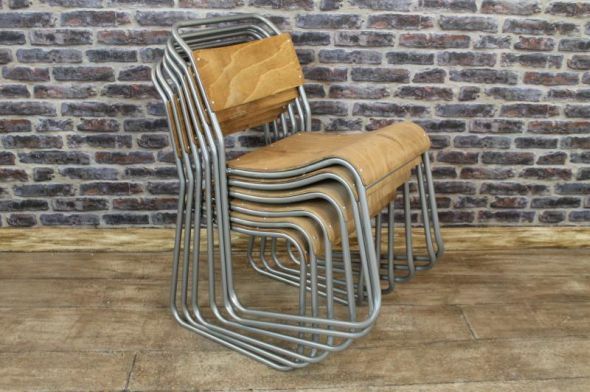 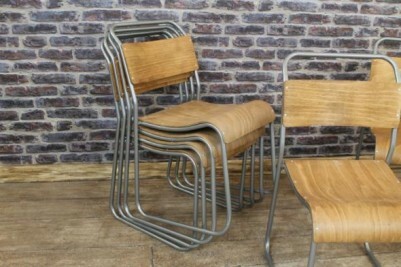 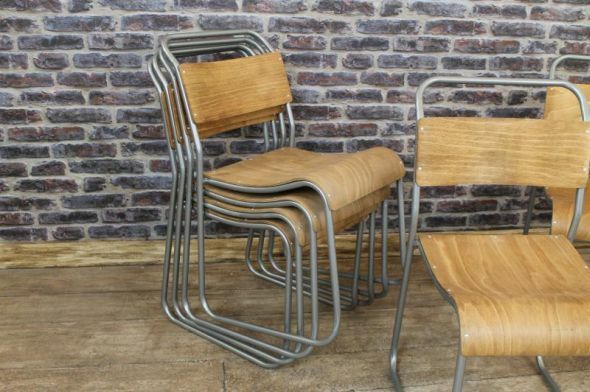 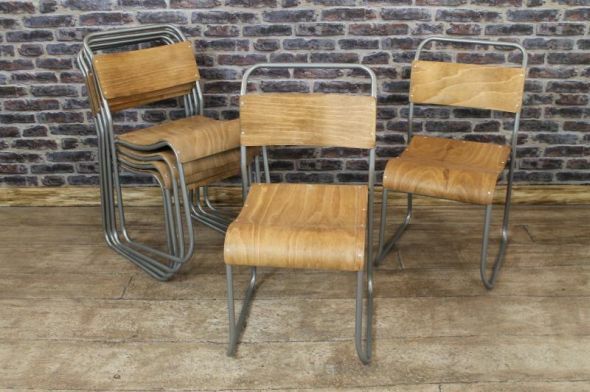 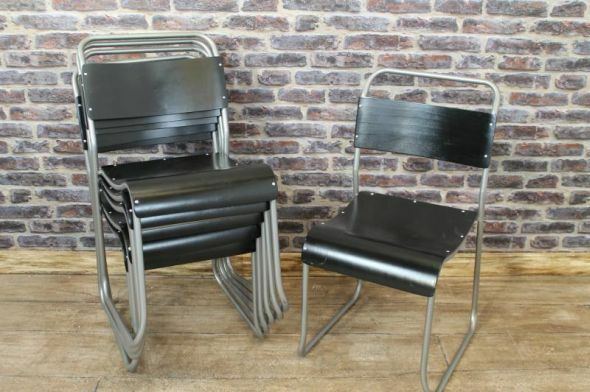 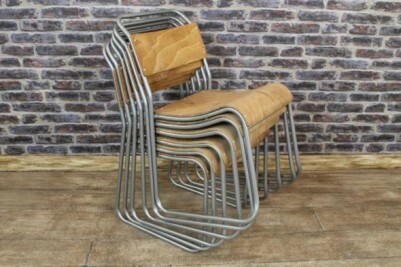 These vintage style 'Chelsea' silver stacking chairs are a truly fantastic addition to our large range of vintage and industrial style furniture. 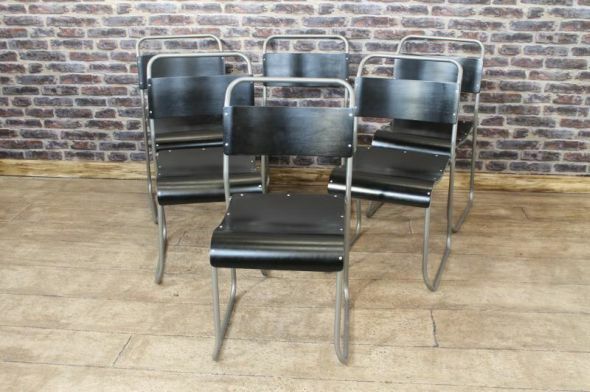 Our vintage style steel ‘Chelsea’ stacking chairs by Peppermill Antiques come in a range of different frame and seat colours. They have quality aged plywood seats, and distressed painted tubular construction giving an authentic vintage appearance. These chairs are lightly worn in places which adds to their vintage inspired appearance. 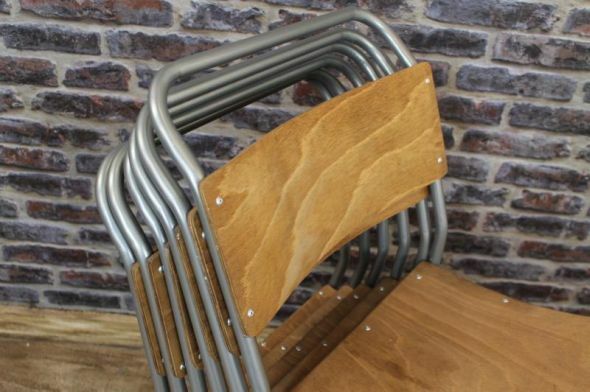 The chairs have a classic vintage styling and have a multitude of uses; ideal for restaurants, pubs, bistros, clubs, cafes etc. 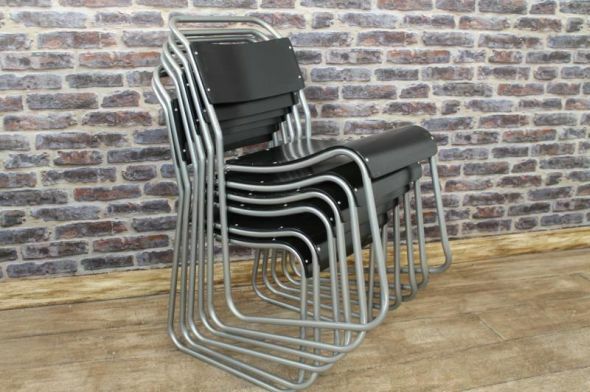 As shown in the photographs, these stacking chairs easily stack away for convenience; ideal for those with limited space available. 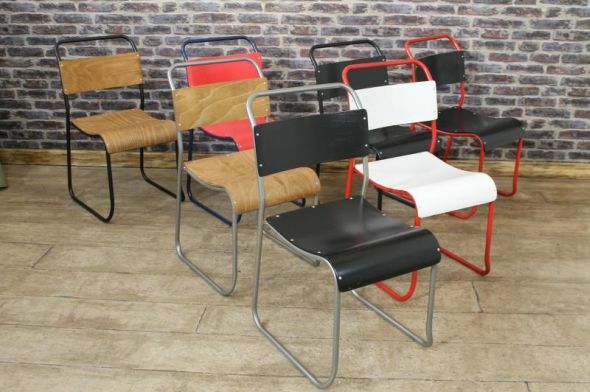 We have large quantities of all colours of these 'Chelsea' chairs available, and the VAT is included in the price. 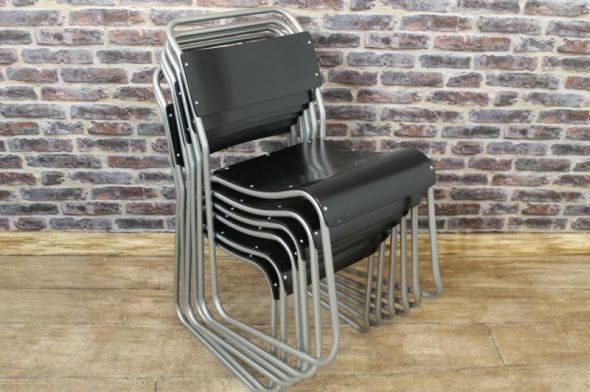 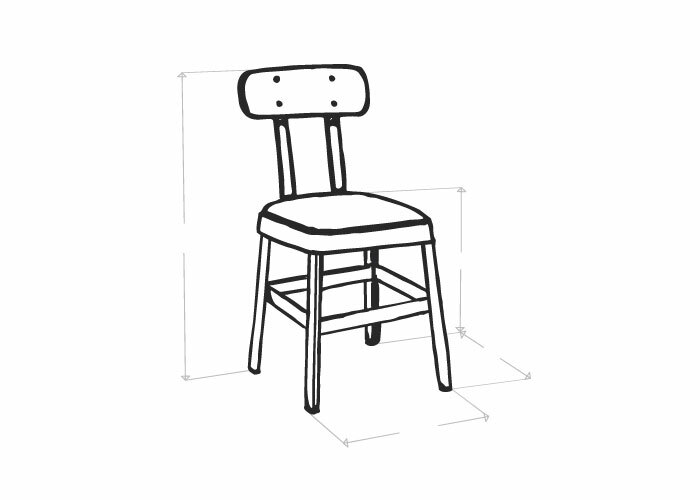 Please note – the price stated is for one chair. 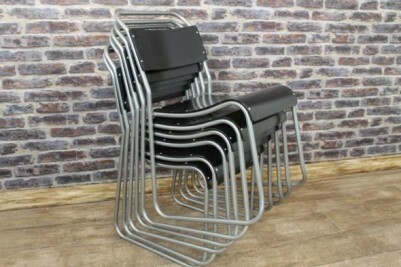 We can fit up to four chairs in one of our delivery boxes at a cost of £15.00.